AEW was the trade name for a north London firm of coachbuilders A.E. Wright Ltd., the business being based in Alexandra Park, N22. Their models (they bodied both Austin Sevens and Hornets) were distinctive in that the rear-ends lacked many curves with angular flat surfaces predominating. 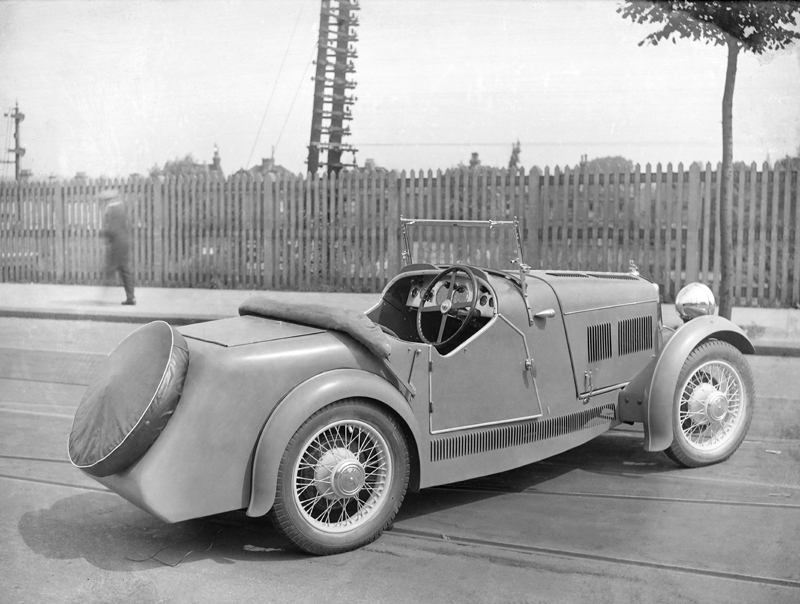 This two-seater model from 1932 looks well equipped with a Bluemel’s four spoke ‘Brooklands’ steering wheel, a top opening boot, full instrumentation and scuttle mounted Lucas 1130 side lights.